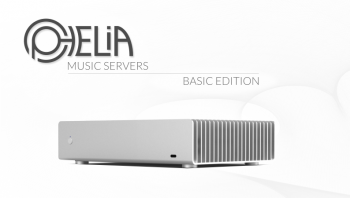 In order to stream music or movies from a NAS (network attached storage) and play the content or files through a system and speakers, a device needs to sit between your NAS and your system, such a device may be a music server (example our Ophelia music server) or streamer like a NAA (example the SOtM sMS-200). The music server or NAA (Network Audio Adaptor) needs to be able to see your NAS and thus render it available to remote control devices such as an Android or iOS product (Tablets, Smartphones, iPads, iPhones, etc). Servers, renderers, and control points are the building blocks for a UPnP/DLNA-based playback systems. A server stores your media content or music files and the server’s software plays a part in making the streaming process take place, the renderer is responsible for requesting your music from the server and passes it through to your digital to analog converter or even a home theatre receiver/processor. What you want from a network player or music server is the ability to easily stream music from your network attached storage (NAS), or an on-board USB drive and also stream from Internet Radio and streaming services (Tidal, Deezer, etc), a user-friendly interface, and last but foremost excellent sound quality. The Ophelia Basic Edition is our dedicated music server, although “Basic” and Entry Level, this unit is no slouch. The Advanced edition replaces the switch-mode power-supply with a fan-less linear power-supply for less noise.